Spring is by far one of the best times to travel to Paris. The weather is beautiful, the streets aren't too crowded, and romance is blossoming everywhere. 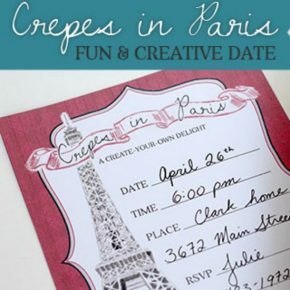 It's too bad that Paris happens to be so far away... but I have a fun and easy date planned for you so that you can bring Paris right to your very own home!